This week, a political reporter’s history of the New Hampshire primary. 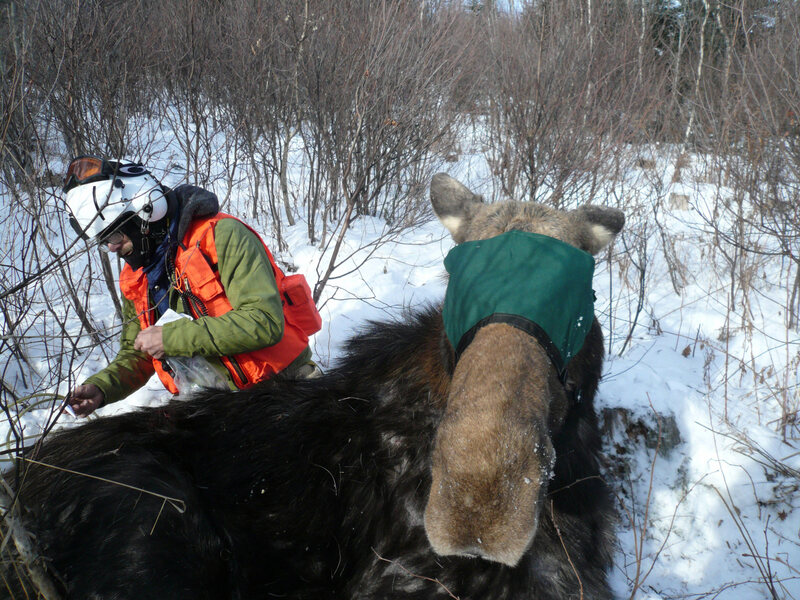 Plus, we follow scientists who are recreating ancient forests, tracking the effects of climate change on moose, and fighting to keep funding for weird-sounding research. And we hear the story of a soccer team that’s leveling the playing field for kids of all backgrounds. 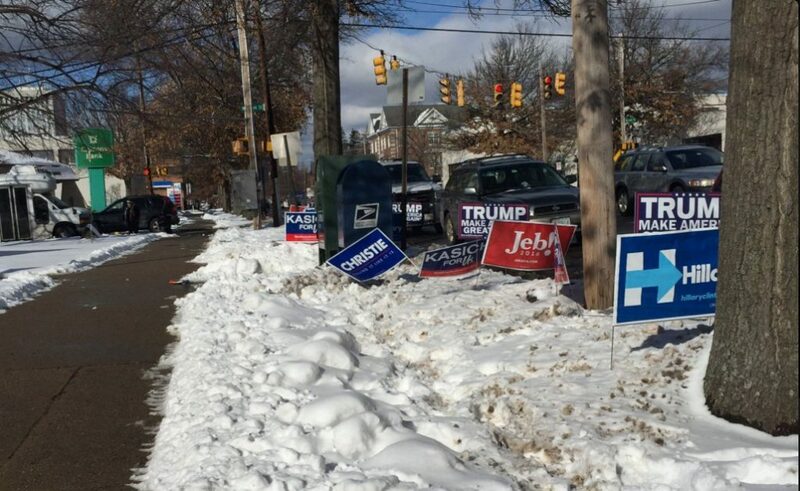 New Hampshire’s near-religious devotion to the democratic process has surfaced on our show before – most recently last month when the state plowed forward with Town Meeting Day, despite the mid-march blizzard that swept the region. But the Granite State’s political fervor reaches it’s height during its first-in-the-nation presidential primary. Our guest, long-time political reporter Scott Conroy, followed the often absurd 2016 campaign up and down New Hampshire for a year and a half leading up to the primary. His new book, Vote First or Die chronicles the pancake breakfasts, ice cream socials and frigid walks to knock on doors – all hallmarks of the retail politics that presidential hopefuls still have to engage in during the primary season. In this area of Jericho Research Forest in Vermont, most trees are about 150 years old. This makes for a rather homogeneous forest with fewer opportunities for wildlife habitat. Photo by Kathleen Masterson for VPR. 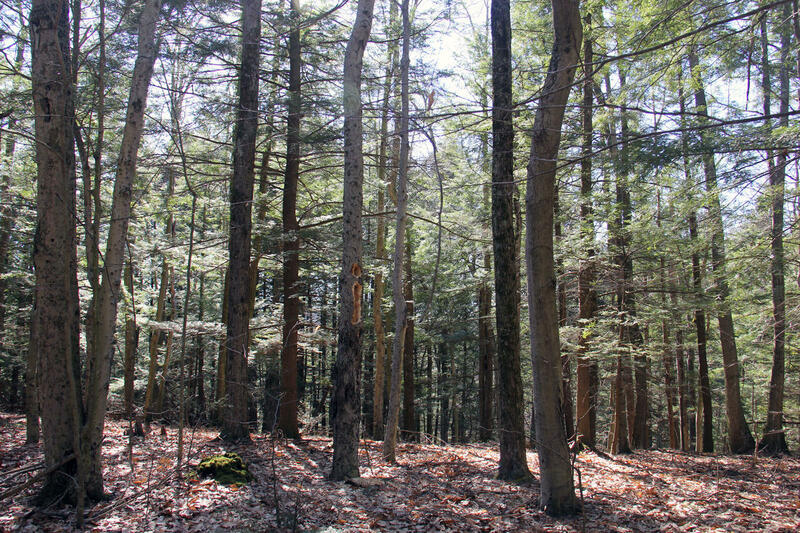 In the northeast U.S., there is less than 1 percent of old growth forest left. 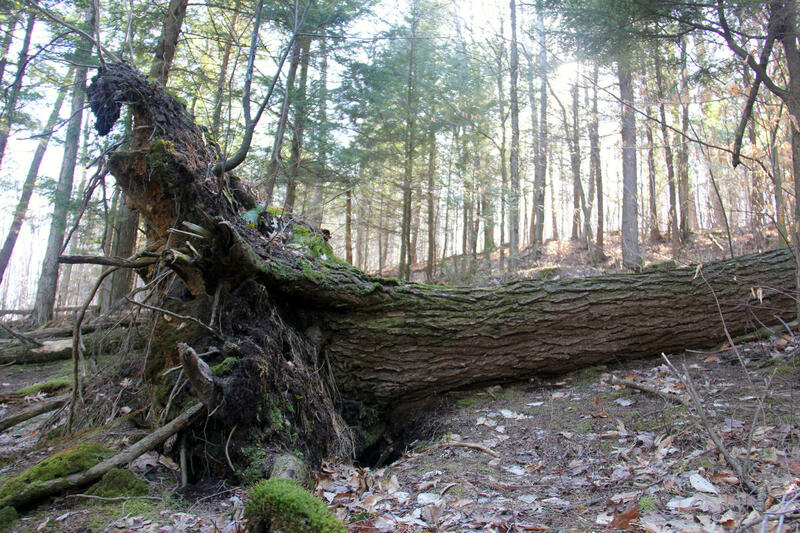 A new University of Vermont study finds that harvesting trees in a way that mimics ancient forests not only restore critical habitat but also stores a surprising amount of carbon. For a forest to be considered “old growth,” it must grow largely undisturbed, usually for several centuries. These ancient forests help foster biodiversity of plants, animal, and even fungi — and can help mitigate flooding. 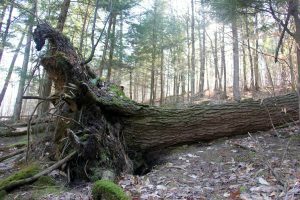 University of Vermont ecologist Bill Keeton wanted to see if he could take a “middle-aged” New England forest and “nudge” the forest ecosystem into old-growth conditions. Vermont Public Radio reporter Kathleen Masterson went to take a look. The 1990s were a good time to be a moose in New Hampshire. The animals could take advantage of a perfect mix of young and mature forest, and plenty of food. At its peak, the statewide population reached 7,400. 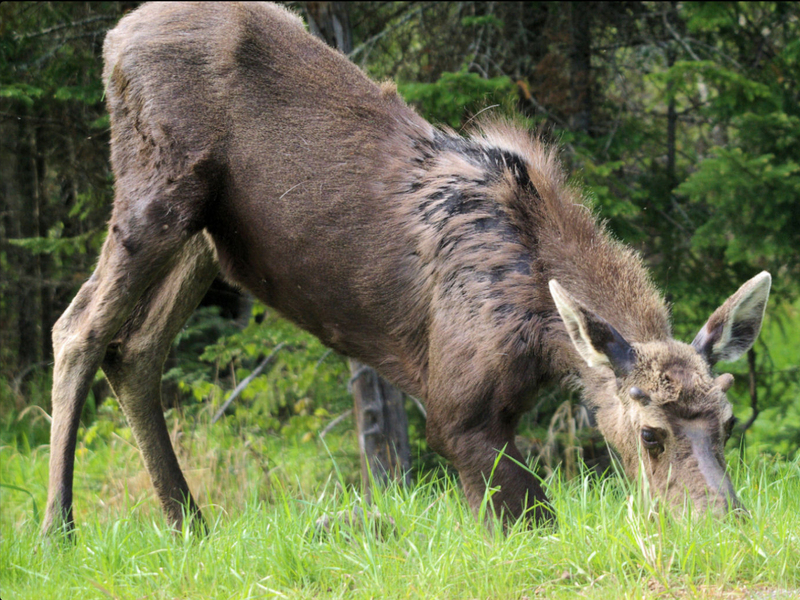 But given the lush habitat, scientists wondered why the moose population wasn’t growing faster. 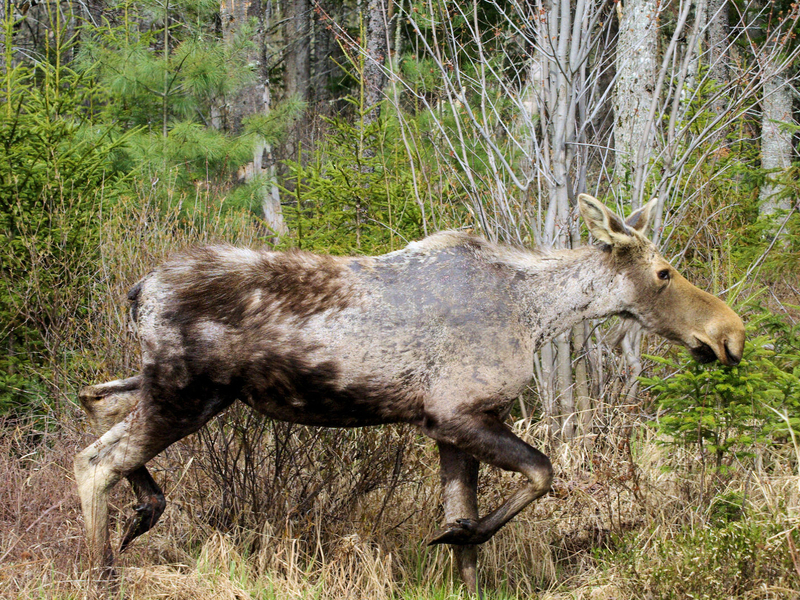 Today, there are only about 3,400 moose in New Hampshire, and the same steep decline is being reported in neighboring Vermont and Maine. The culprit? A nasty tick whose proliferation is brought on by climate change. 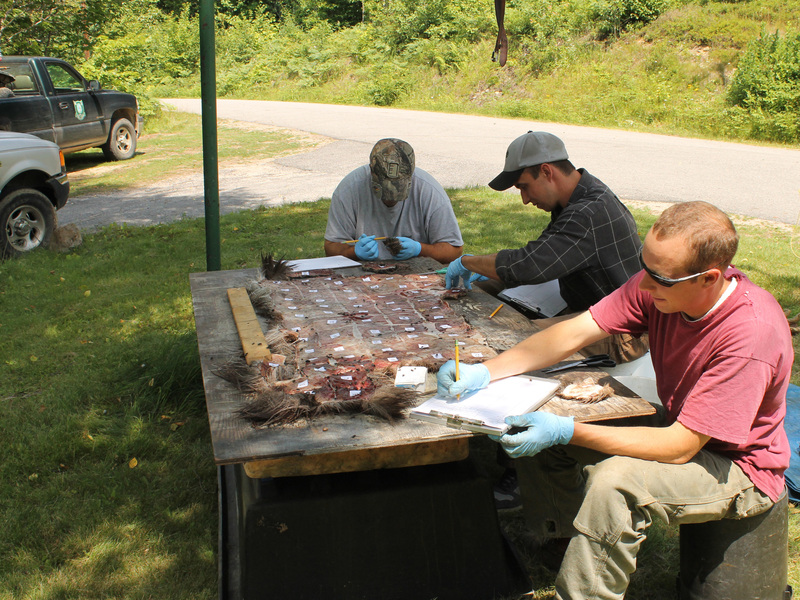 We speak with Kristine Rines, a wildlife biologist with the New Hampshire Fish and Game Department. 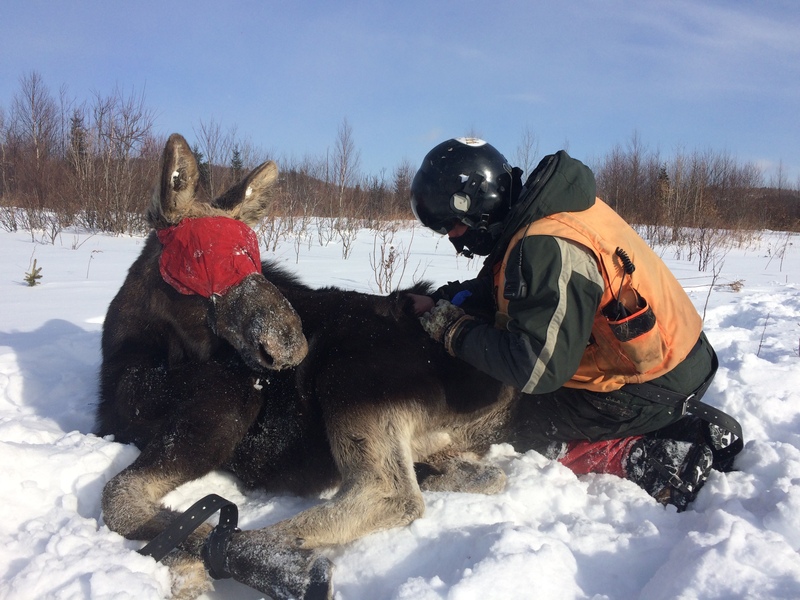 Rines is leading a four-year study to learn more about how weather changes and forest management practices affect the moose population. The national March for Science on April 22, and the many satellite events around New England marked a departure for many scientists. Until recently, they didn’t consider political activism a part of their jobs. But over the past few years, a growing number of researchers have faced political attacks about their work, and many say it’s time to come out swinging. New England Public Radio’s Karen Brown visited one scientist who’s urging colleagues to step up and make the case for continued federal funding, even when their research sounds strange. Last year, Boston’s Metro South Under-15 girls soccer team became champions in the New England Premiership Soccer League. Playing on club soccer teams like that can get attention from college recruiters. But those clubs also charge players’ families around $1500 per child, per year. 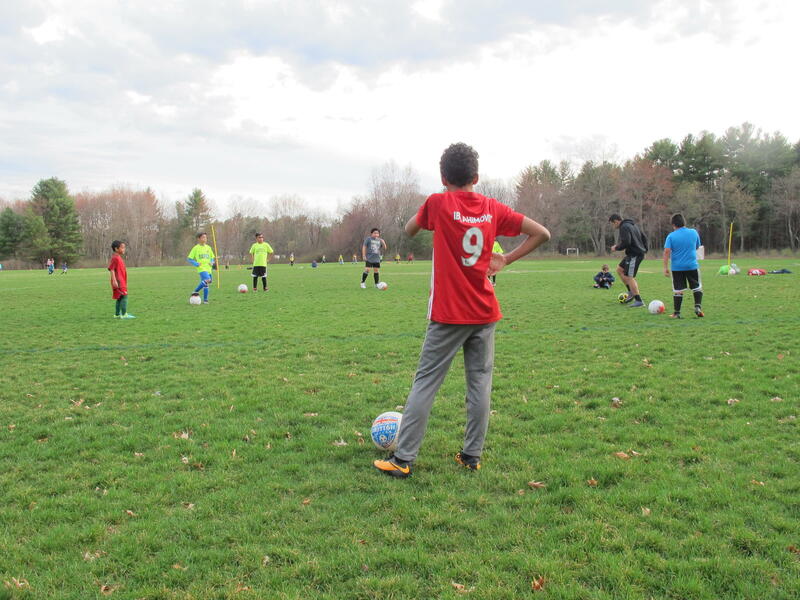 New Hampshire Public Radio’s Emily Corwin has a story about a soccer club in Nashua, New Hampshire, with a different approach to high-level sports – one that’s all about leveling the playing field. Here’s an update on what we’re calling the Connecticut River Valley region in Massachusetts. 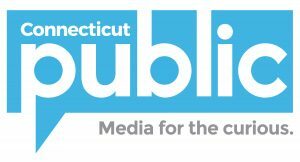 In February the Greater Springfield Convention and Visitors Bureau and the Economic Development Council of Western Massachusetts announced a rebrand for the area formerly known as the Pioneer Valley. The new name, “West Mass,” was released with a promotional video. So last week, the organizations behind the rebranding announced that they’re putting “West Mass” on pause. We appreciate your feedback! Send praise, critique, suggestions, questions, story leads, and place branding ideas to next@wnpr.org.